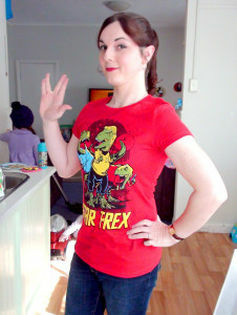 Lindsay C. Walker, an Australian artist who, in recent years worked on several Phantom comic-book projects, took her own life on 27 September, 2016. This sad news came just as her first-ever cover for the Australian edition of The Phantom comic book went on sale last month. Walker, a transgender woman, first came to the attention of Phantom “phans” when she produced two covers for Moonstone Graphics‘ relaunched version of The Phantom: Ghost Who Walks comic book in 2009-2010. These early works are attributed to the name Mick Collins. 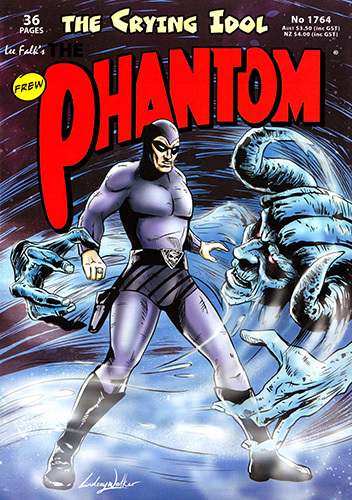 She was subsequently commissioned by online retailer The Phantom’s Vault to illustrate the Australian variant cover for Hermes Press’ newest edition of The Phantom (Issue #3B). Walker, who named herself after The Phantom’s alter ego, “Kit Walker”, was a popular artist among Australian “phans”, and produced several private and commissioned pieces depicting The Phantom. Lindsay spoke frequently about her work, and her experience transitioning. You can download her interview with Joe Douglas from the first-ever ChroncicleChamber/X-Band podcast in 2013, along with her appearance on the Geek Girl podcast from 2014.You can also read a transcript of her interview for Monica Kowalska’s Heroines of My Life blog. Fans of The Phantom who wish to make donations to Lindsay’s partner, Kim, and their three children, Ariel, Eloise and Evelyn, may do so here. 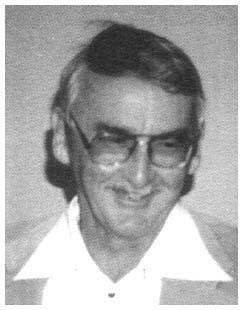 Peter Chapman, a veteran Australian comic-book artist, died on June 22, 2016, in his hometown of Narrabri, New South Wales, where he had lived and taught art since 1971. He was 91 years old. Chapman’s career spanned the “golden age” of Australian comics, first working as a comic-book writer and artist for Frank Johnson Publications (Sydney) in the mid-1940s. In time, he became one of the most prolific comic-book artists of the post-war era, but he is best known for his enduring association with Frew Publications, which has published the Australian edition of The Phantom since 1948, making it the oldest, longest-running Phantom comic magazine in the world. In the early 1950s, Chapman took over as writer and illustrator of The Phantom Ranger and The Shadow, both of which were originally created for Frew Publications by expatriate British artist, Jeff Wilkinson, in 1949-1950. Chapman’s work on The Phantom Ranger was reprinted under license in the United Kingdom in the 1950s, while his version of The Shadow – no relation to the famous American pulp-magazine hero of the same name – was translated into Portuguese for the Brazilian market during this period as well. 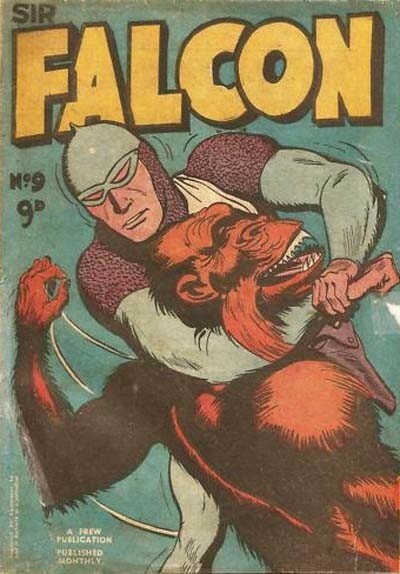 Chapman also created, wrote and illustrated Sir Falcon, another popular superhero title for Frew Publications, which was heavily modelled on The Phantom, which still remained the company’s best-selling title. 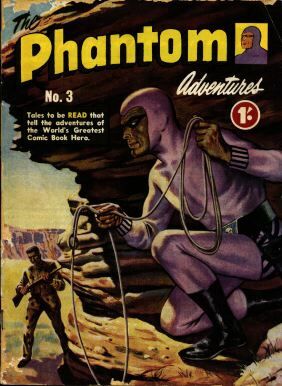 Chapman also drew occasional covers for the regular series of The Phantom comic magazine, along with cover illustrations for Giant Size Phantom Comic in the late 1950s. 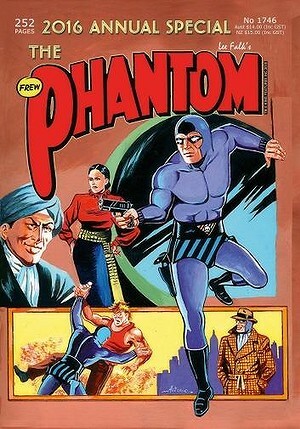 Chapman remained as writer-artist on Sir Falcon, The Phantom Ranger, and The Shadow, until the early 1960s, when Frew Publications began scaling back its range of Australian-drawn comics to focus on their best-selling title, The Phantom, and other licensed reprints of American comics. The Phantom Ranger and The Shadow remained in publication until the early 1970s, albeit comprised of reprints of earlier editions, many of which were originally drawn by Chapman. Following the collapse of Australia’s comic-book industry in the early 1960s, Chapman turned to commercial illustration, initially working as greeting card illustrator for John Sands, and producing book illustrations for selected Australian publishers. After relocating to Narrabri, New South Wales, in 1971, Chapman took up art instruction at regional TAFE (Technical and Further Education) colleges, and toured regional New South Wales as a self-employed art teacher. Peter Chapman received a Ledger of Honour, in recognition of his lifetime contribution to Australian comics, at the Ledger Awards held in Melbourne, Australia, on April 15, 2016. You can read my 2007 interview with Peter Chapman at ChronicleChamber.com. Chapman was interviewed on film by curator Dr Peter Doyle (Macquarie University) for the Pulp Confidential exhibition held at the State Library of New South Wales in 2015 (Peter Chapman photo courtesy of Lambiek. Sir Falcon cover image courtesy of AusReprints). I’ll be appearing at Supanova Pop Culture Expo being held in Melbourne (Australia) on Sunday, 17 April, 2016, as part of the Popular Arts Researchers Australia (PARA) panel on popular culture and Australian fandom. I’ll be talking about The Phantom (of course), and look at the reasons why “The Ghost Who Walks” continues to be popular with Australian “phans”, 80 years after his debut in The Australian Woman’s Mirror magazine, back in September 1936. I’ll be joined on-stage by Angela Ndalianis (University of Melbourne), and Jason Bainbridge (Swinburne University), who’ll be sharing insights from their research into superhero fandom and the role of super-villains in the superhero genre. Following Nat Karmichael’s recent comments about Frew Publications and The Phantom, and their place in Australian comics culture, comic-book writer and pop culture observer Emmet O’Cuana has posted a timely rebuttal on the Hopscotch Friday website/blog (You can read this piece, titled “Phantom Logic”, here). While this debate will most likely be of greatest interest to Australian comic books, I think it’s also a good example of how The Phantom – who is, after all, an American-created hero – has come to assume far greater cultural significance beyond the United States. There have been very few countries in Europe, Latin America and Asia which have not, at various times, published localised editions of The Phantom since the end of World War Two. However, it could be argued that The Phantom has enjoyed greater popularity, and wielded far greater commercial& cultural influence, in Australia, Sweden and (to a lesser extent) India, than any other country (or group of countries). Read, learn, and enjoy, Phantom “phans”! (Image courtesy of The Deep Woods website). Nat Karmichael is undeniably passionate about Australian comics. 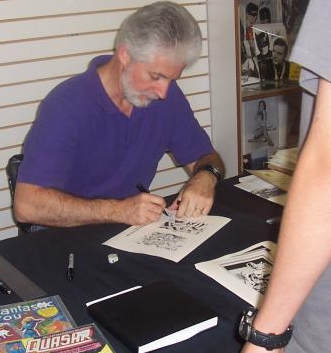 For decades now, he’s endeavoured to provide outlets for Australian writers and illustrators, in order to showcase the best contemporary – and “classic” – Australian comics, and introduce their work to the wider public whose main exposure to comics comes from overseas. 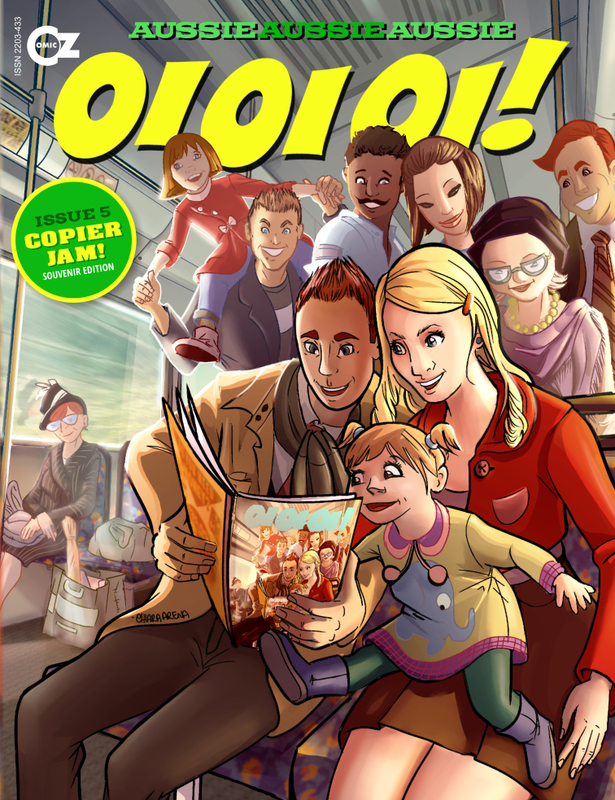 Nat’s latest project is a comic-book anthology, titled “Oi, Oi, Oi”, which has just gone on sale through newsagents across Australia with its sixth issue. Like most people who are deeply interested in Australian comics (whether they’re writers, artists, readers and/or collectors), Nat is all too aware of how the Australian edition of The Phantom – produced by Frew Publications (Sydney, New South Wales) – continues to dominate the Australian comics landscape, as it has done so for several decades now. Indeed, as I’ve discovered in the course of my own research, many Australians used to believe that The Phantom was an Australian-drawn comic book! But Nat wants to challenge that perception, and has written an interesting essay about The Phantom, and its contribution to Australian comics on his Comicoz website, which can be read here. It’s fascinating, provocative reading, and bound to generate debate amongst Phantom “phans” throughout Australia.